Crossbow is back!! Does Body Expertise no longer affect crossbow got you down? Fear not!! 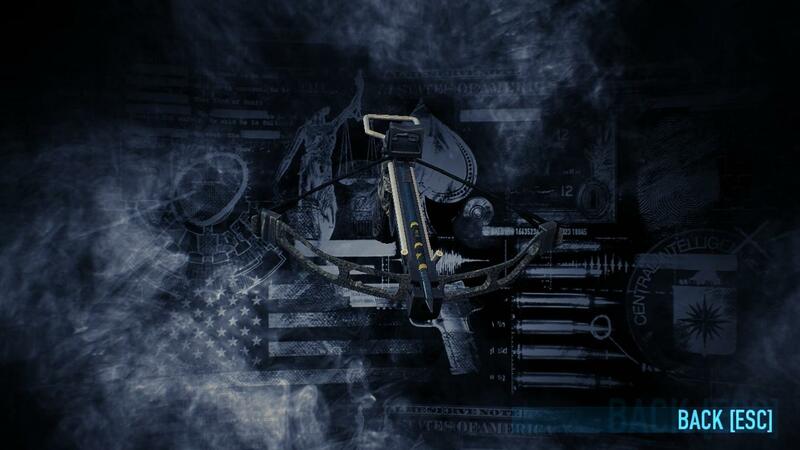 As the crossbow has return & promise to bring you a new level of destruction against the enemies. Crossbow has now return to the scene. Getting dissappointed because the crossbow seems to be weak after numerous nerf such as Body Expertise nerf? 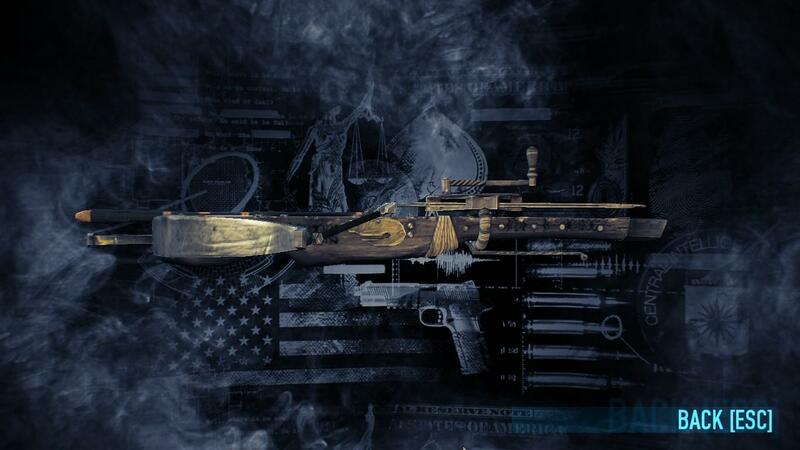 Do not fear, as this build would turn the crossbow into 1 powerful weapon that require almost no skills to use. This build are capable to kill any unit at One Down difficulty with a single shot from the primary weapon (Except Dozer). At Deathwish difficulty, 2 dozer can be killed instantly with a single bolt if certain condition are met. In this section, I would show a video of this build in action. I apologize if the quality of the video is poor. Additional video for another heist would be upload if there is any request for it. Below are the list of mod that are active during the making of this video. Q: Why I need Gage Chivalry Pack? A: This build require Heavy Crossbow. Q: Why I need Gage Ninja Pack? A: This build require Pistol Crossbow. Q: Why Infamy 4 & Level 100? A: To maximise the potential of the build with 120 skill point. Q: Why I need to pick Set Of The Corrupted Infamy? A: To reduce the cost of skill point for Mastermind skill tree (Inspire). Q: Why I need to pick The Slaughterhouse Set Infamy? A: To reduce the cost of skill point for Enforcer skill tree (Fully Loaded). 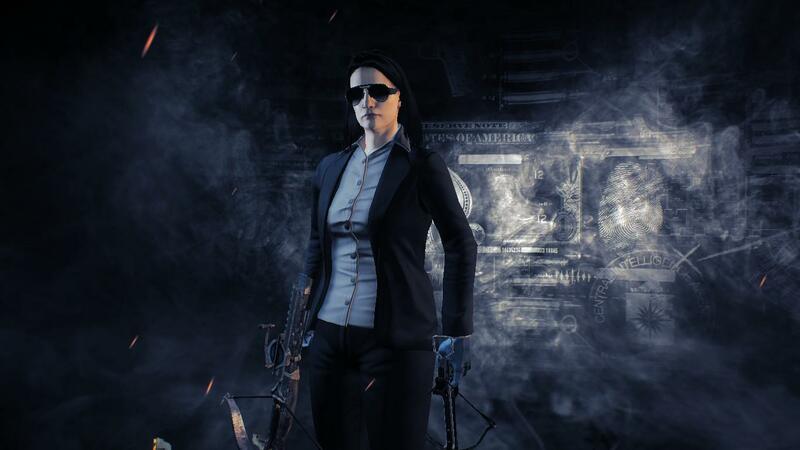 Q: Why I need to pick The Assassin Set Infamy? A: To reduce the cost of skill point for Ghost skill tree. Q: Can I use it despite not having 120 skill point? A: You can, but it is not advisable at One Down difficulty. At difficulty below One Down, it should be fine provided a proper investment was pour to the right skill. Capable to kill 2 dozer in a single shot at difficulty below One Down, provided the condition are met. No risk of exposing yourself to danger just to collect ammo drop. Ammunition can last for entire heist if it was manage correctly. Require aiming skill against long distance enemy such as sniper. Incompetent teammate that gobble up the entire ammo bag without consideration. Ammunition scarcity might occur for long heist (Example: Cook Off, White Xmas & Santa's Workshop). For this section, I would answer a few question in regard of why some skill are not being pick for this build. Q: Why pick Frenzy, but no Berserker? A: This build use rogue perk & only have 20 armor with 230 health. Reducing the health to 69 won't do you any good if your rng are not on your side, it would just make you goes down easier considering the damage deal by Zeal unit at One Down difficulty against the Berserker damage negation. Considering the likelyhood of your health could easily dipped below 50% while playing One Down difficulty, you also save skill point from not investing Berserker skill. For this section, I would explain what equipment would be used for this build. Both deployable are important, the doctor bag are require to resets the number of times a player can enter a "downed" state before automatically going into custody while the ammo bag are use to replenish the ammo of crossbow. Whether you set doctor bag or ammo bag as primary or secondary deployables, that is entirely up to you. Two-piece Suit is the only option left for this build due to the usage of rogue perk. Any attempt to wear armor would just reduce the dodge & critical rate. The ideal weapon to be used in One Down difficulty with hardly any need to aim in close or intermediate range combat. 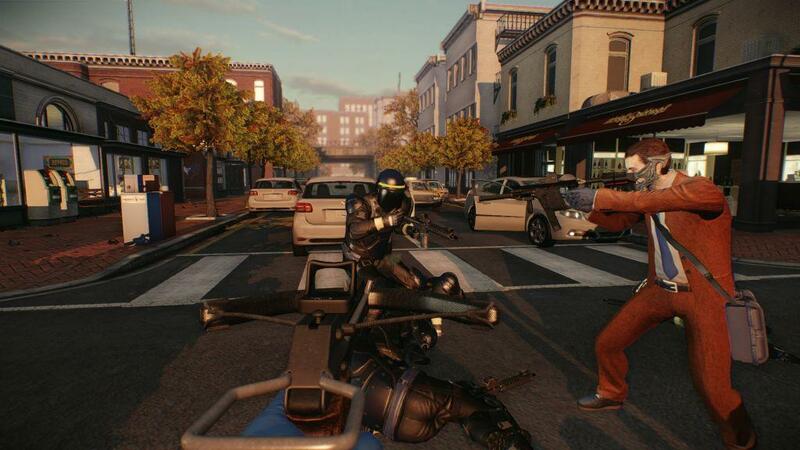 Deadly with it's critical & area of effect damage, not even special unit have what it takes to survive the hit. Pistol Crossbow are the ideal choice of secondary weapon, being able to keep the concealment below or equal to 5 while retaining the explosive & critical element within it. Shall we use other explosive weapon such as China Puff or Arbiter, the concealment is not possible to retain below 5. Melee for this build are flexible, you can pick whichever you prefer as long as it keep your concealment below or equal to 5. Throwable for this build are flexible, you can pick whichever you prefer. Combination of Underdog, Low Blow & Frenzy are capable to kill 2 dozer with single shot if all of the condition are trigger at once, provided both dozer are close to one another. Use pistol crossbow instead of heavy crossbow if Swan Song are activate. Your weapon ammunition cannot be replenish by ammo drop, it is wise to hit & kill multiple target with a single shot instead of 1 at a time. Try to fight in close or mid range quarter, trying to take down enemy from long distance would require a degree of aiming skill with this build.